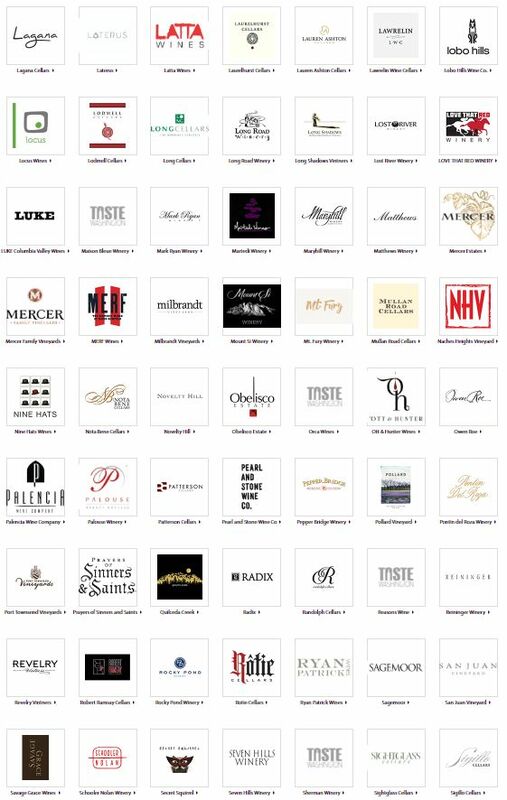 Taste Washington in Seattle runs from March 28-31, 2019, with the weekend having an incredible 235+ Washington State wineries and 65 restaurants pouring their wines and offering you samples of their dishes in their “Grand Tasting” which is on the Saturday and Sunday of this event. 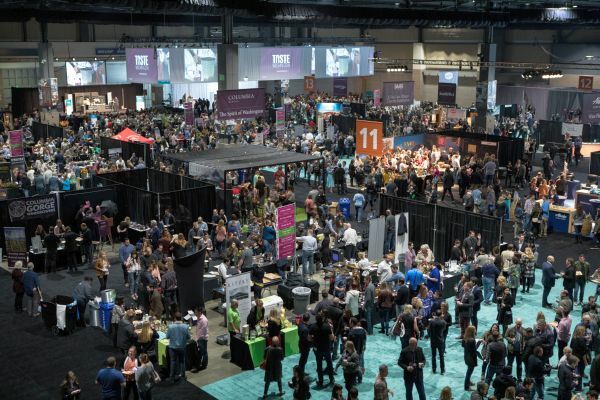 I’ve been to the Grand Tasting (held at the CenturyLink Field Event Center) a few times in previous years and I really appreciate that every 3rd or 4th table in the tasting room is a restaurant. You can get a glass of Riesling or Cabernet Sauvignon for example at one table, then walk over a few tables to a WA restaurant, pick up their featured sample(s) and enjoy wine and food together. Wine on its own does not always reveal how good it is until you try it with food. Washington State has fabulous wines, but we do not get too many of their wines here in BC. Have you tried “Kung Fu Girl Riesling“? That wine is from WA state from K Vintners. You may have also heard of the Eroica Riesling from Chateau Ste. Michelle. Washington produces more than Riesling. You can try fantastic Cabernet Sauvignon, Merlot, Syrah, and much more. A few other multi-award winning wineries you may have heard of are L’Ecole N° 41, Woodward Canyon, Leonetti Cellar, Quilceda Creek, or Betz Family Winery. Going to the Grand Tasting, which runs from 2:30-6pm on the Saturday and Sunday, is a way to try these and other top-rated wines. Make a list of those wines you like, and whenever you cross the border you know which wines to buy and bring home. There is also a Chef’s Stage which features top local and national chefs cooking live on-site in a state-of-the-art kitchen built right on the Taste Washington show floor. So if you are a bit tired from tasting wine and eating fabulous food, have a seat and learn cooking tips from top chefs. 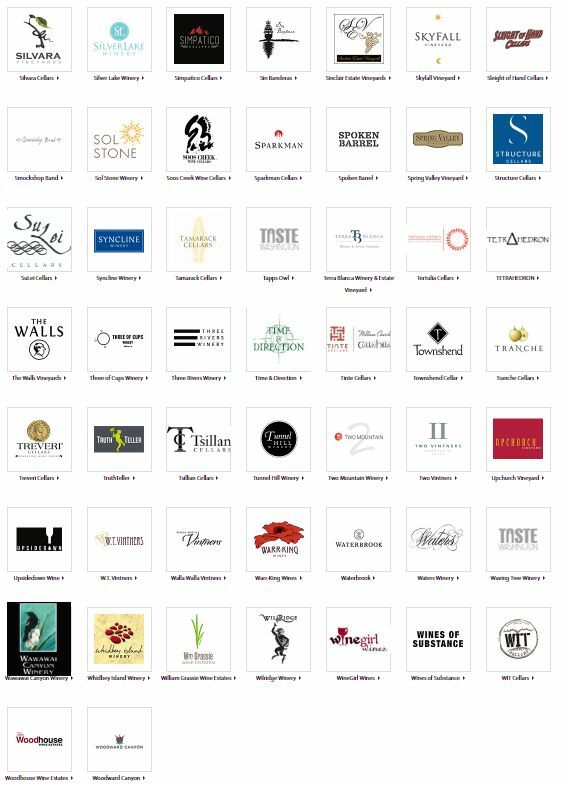 The list of wineries is quite long, so I’ve provided you with a snapshot of the list of wineries from the Taste Washington website for you to view. You may recognize some of the logos. 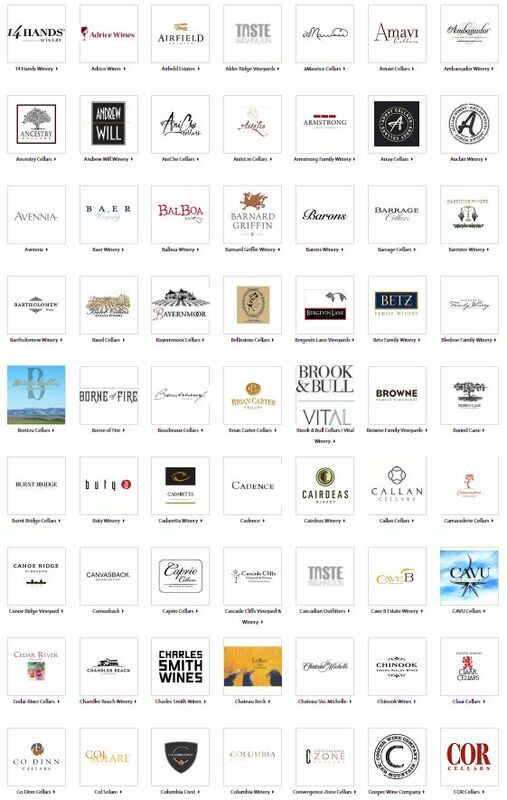 If you want to visit the web page that contains the list of wineries, you can access it here. Seattle is a short drive from Vancouver. Head out either Saturday or Sunday morning and be in the lineup to enter the Grand Tasting by 2:30 pm. Easy. But you do need a ticket to attend. 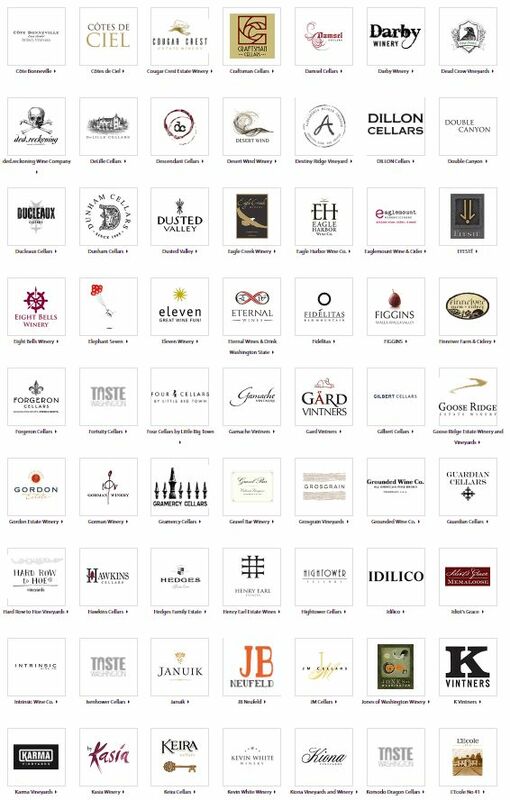 Here is the link to purchase tickets for the Grand Tasting. I will be at the Grand Tasting and I hope to see you there as well. I will be the one with a glass of wine in my hand and a big smile on my face.